Fact or Fiction: Cruise ship seen dumping human waste near city? 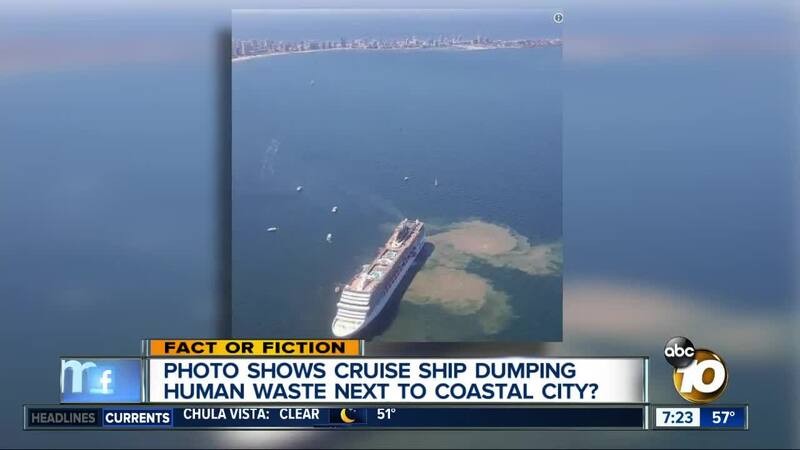 Does a picture really show a cruise ship dumping human waste next to a coastal city? (KGTV) - Does a picture really show a cruise ship dumping human waste next to a coastal city? The picture being sent around on social media actually shows a ship churning up mud and sand before dropping anchor off the coast of Uruguay.